By & For Us? The community at the head of the organization was an initiative focusing on the experiences of community organizations that are run by, or centre the voices of the community they serve. 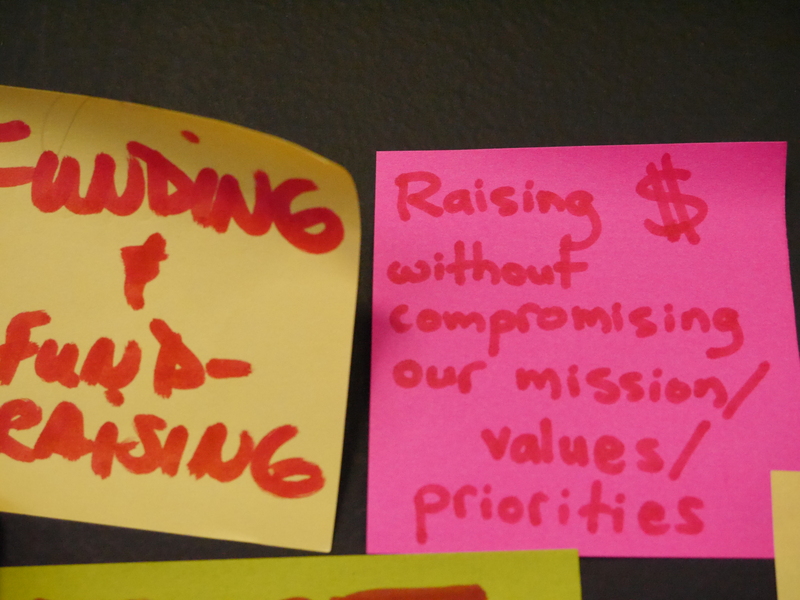 The project took the format of three forums, where representatives of community organizations came together to learn from one another’s experiences, discuss challenges, create solutions, and build new relationships, partnerships and networks. 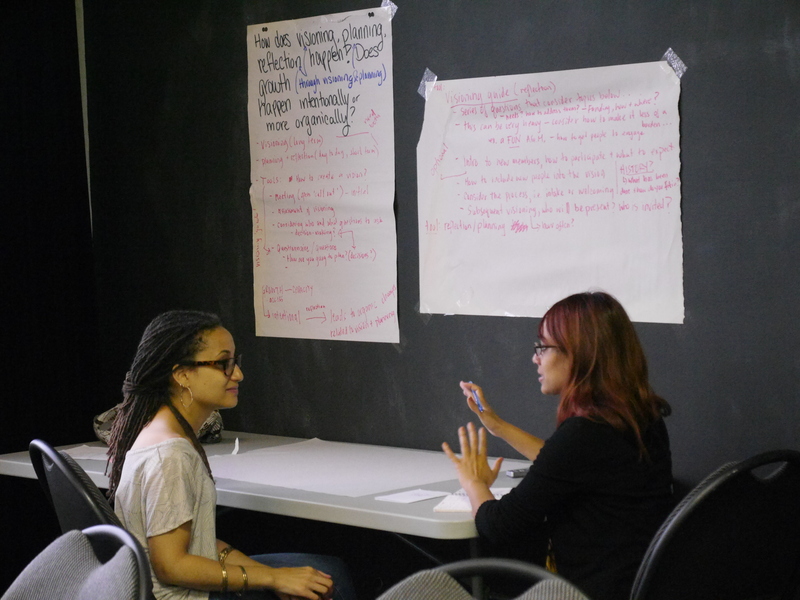 The forums were held on April 25th, May 16th and June 6th, 2015 at the Black Theatre Workshop, Montreal. 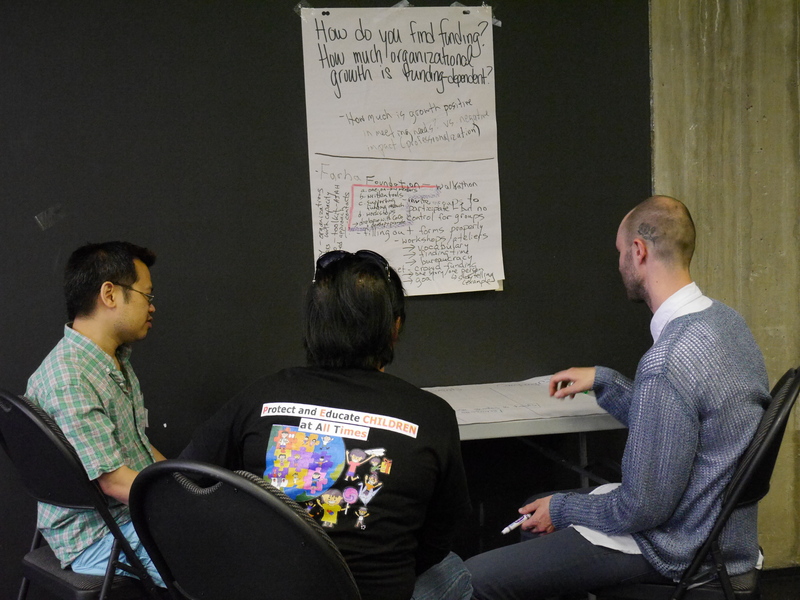 Activities at the forums ranged from organization presentations, to discussion groups (on subjects such as funding, burnt­out, and skill­sharing), to work sessions, to fun ice­breakers, and going on walks together. 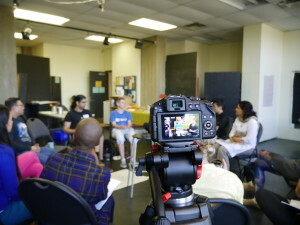 The forums brought together 12 diverse Montreal-based organizations, among them Arc­En­Ciel d’Afrique, the South Asian Women’s Community Centre, Action GLBTQ avec les ImmigrantEs et RéfugiéEs, and Desta Black Youth Network, and a total of around 25 organizers and activists were present representing their respective groups. The final step of the project was the creation of three resources started during the forums, in an effort to share knowledge, and create solutions to some of the issues raised (see below). On September 26th, 2015, a “5 à 7” was held to de­brief the forums, and to brainstorm possible next steps for the project. 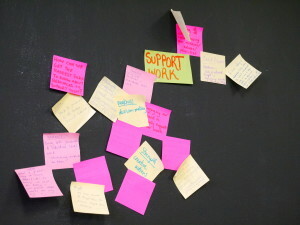 Ideas brought up at the “5 à 7” included having an annual conference for “By & For” organizations to network and build partnerships, and holding regular meet­ups to share skills related to specific subjects. This video showcases moments from the forums, as well as interviews with individual participants. This resource seeks to represent the essence of the By & For project for those who couldn’t be present, as well as inspire the viewer with stories of some of the amazing activism happening here in Montreal.